Drake has now notched up 12 Billboard Hot 100 top ten hits in 2018 – the most for any artist in a single year. Rap megastar Drake has just overhauled a Billboard chart record held by The Beatles for over half a century after his new track with Bad Bunny landed in the top ten this week. The 32-year-old’s guest spot on ‘MIA’ means that he’s now had 12 songs reach the top ten of the Billboard Hot 100 chart in 2018 – the most that any artist has had in a single year. The Fab Four also notched up hits with classics such as ‘Can’t Buy Me Love’, ‘She Loves You’ and ‘A Hard Day’s Night’, and in one April week, they famously dominated the entire top five places of the Billboard Hot 100. However, that imperious record is at an end, after an unbelievably successful year for the Canadian rapper. 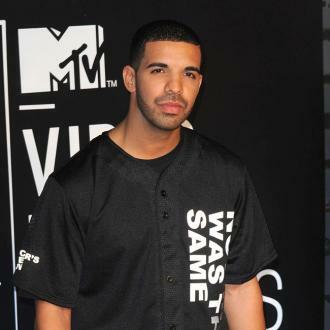 Drake topped the charts three times this year with ‘God’s Plan’, ‘Nice For What’ and ‘In My Feelings’, and also featured on Lil Baby’s ‘Yes Indeed’, BlocBoy JB’s ‘Look Alive’, and Migos’ ‘Walk It Talk It’. The rest of his tracks that have reached the top ten are ‘Nonstop’, ‘I’m Upset’, ‘Diplomatic Immunity’, ‘Emotionless’, and ‘Don’t Matter To Me’. To mark the stunning achievement, Drake took to Instagram to share a beautiful text exchange between himself and his old high school teacher, who had messaged him with a screenshot of the Billboard article about his new record, saying that she often wonders what Drake’s teenage self would think of his success. Jokingly, he replied that younger Drake would be unable to get his head around it and would probably be more concerned about getting his low grades up. Cute! Earlier in 2018, the release of his latest album Scorpion led to Drake becoming the first artist to reach 50 billion streams across all music platforms.